Here's a short clip of this lovely springer being released back to the Tay. Today's fish was our 8th springer since opening on the 1st of February and all of these beautiful spring salmon have been released including a most perfect 24 lbs sea-licer which was caught on the 13th of February (see earlier blog post in the February archive). For more information on the Newtyle Beat Click here. luck,if i was to catch my 1st ever salmon on that day i was on your fishing beat would you let me kill that fish. I'm asaking you this because as you know there is people who have been fishing for salmon for many a year without any success,and i think i talk for many anglers in this position.your thanks a very keen salmon angler. On Newtyle we are following the Tay District Salmon Fishery Board recommendations on this one which means you would need to catch two on the day to have the option to retain one. I do however fully understand your views and the views of many other anglers too but given the current state of the once huge runs of salmon entering the Tay there has to be a time to draw the line and that time has to be now. I am sure the primary reason you have not caught one of these beautiful fish over the last 10 years is because it's been accepable to kill them in the past & on the Tay far too many have been killed. The economics benefits of having plentiful Tay salmon stocks which create vital rural revenues are far more nationally important than any individual anglers need to kill a fish. I'm sure I could assist you in breaking your 10 year plight but you'd need to comply with the TDSFB recommendations. However you would also receive a lovely embroidered 'Saving Tay salmon'sweatshirt from the TDSFB and be videod and photographed for the Google archive which would be accessible & viewable decades after the taste of a salmon had gone. Okay jock,i see your point on this one. And i hope you have a good week on newtyle with many springers to report. 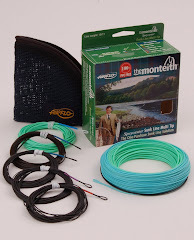 Tight lines for the rest of the season.yours,keen salmon angler.